With the armies that come with the DLC, your ancient wargaming is now endless. You also get a what-if campaign of Alexander. This postulates that he did not die in 323 B.C. He was already contemplating conquering at least some of Arabia. The Persian Immortals are here, as are the Macedonian Silver Shields. 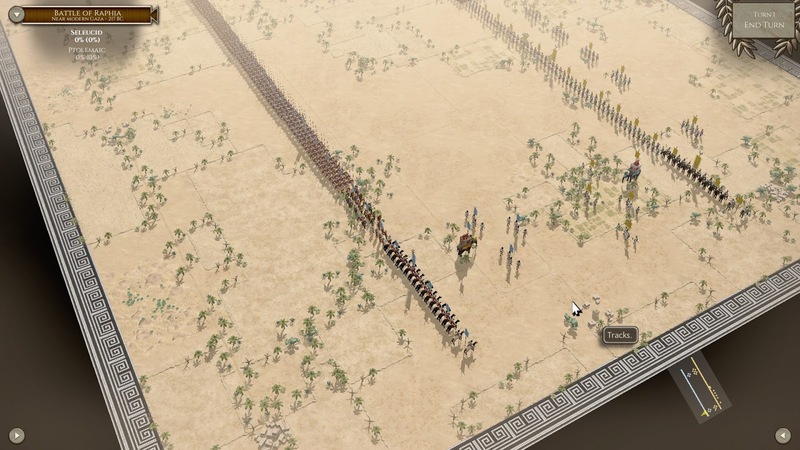 You can recreate battles between Carthage and Syracuse or Pyrrhus. The armies of Greece in the Peloponnesian War are also here for your gaming pleasure. 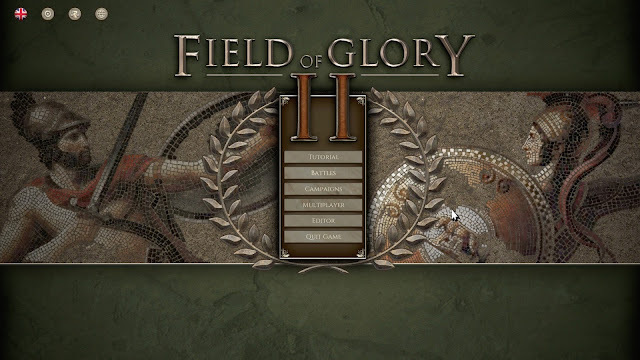 The base game Field of Glory II is so versatile that all of the DLCs that came with its older brother Field of Glory I can, and probably will, be added to its portfolio. As you can see, the ancient army list is now up to a whopping 105. For various reasons, I did not play Field of Glory I much at all. This is not the case with Field of Glory II, and now with the DLCs starting to come, it will be hard for me to tear myself away from the game. The AI in the game is as good as the one in one of their other titles 'Pike and Shot'. The graphics in Field of Glory II are amazing. Field of Glory II is driven by a long standing table top miniatures set of rules. So it not only looks like you are playing miniatures, you really are. I just lost a game of the battle of Raphia to the AI. Playing as the Seleucids, who are on the right hand side of these pictures, I thought that I could crush the Ptolemy left flank before my left would be in too much trouble. What I should have done was to refuse my left and let the Ptolemaic right hook catch nothing but air. I did somewhat destroy their left flank, but not before they had inflicted more casualties on my left. I would like to show you pics, but I had a senior moment and was using the print screen button instead of F12. Sorry, I didn't have time to re-fight the battle. So I just took some shots of the setup of the forces once I realized my mistake. With the release of The operational Art of War IV and Field of Glory II, among others, Slitherine/Matrix certainly have given us wargamers a plethora of gaming. Now, their sister company Ageod has to get going and release 'The Wars of Succession' so I can get my early 18th century itch scratched. This just went up on the Slitherine website. It is an announcement about the new field of Glory II 'TT' mod. The 'TT' stands for table top. This adds an immense amount of units etc. to the game. It is not necessary to own 'Immortal Fire' for the mod, but it can only make this great game better. 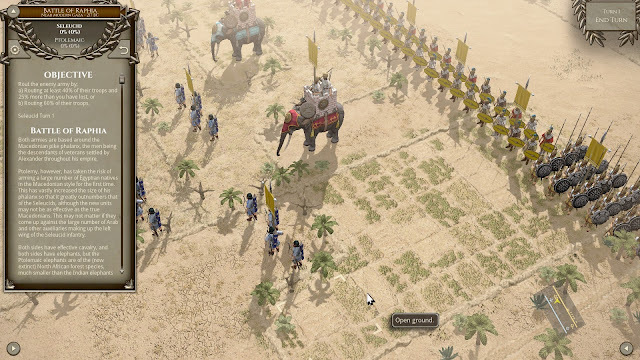 This mod greatly expands the units in Field of Glory 2. I am calling it the TT Mod. “TT” because I have got most of my inspiration from the original Field of Glory Table Top army lists. I have added back into the lists a lot of the units from the tabletop version that were left out of the PC version of the game. The mod will come in two forms, a sandbox campaign and a skirmish module (with SP and MP versions). Nearly all nations have their own specific Pike Phalanx. 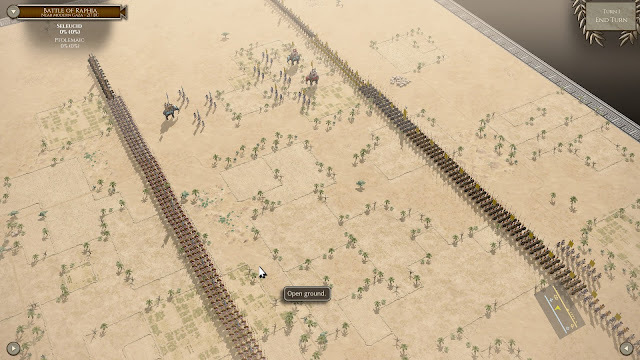 I have created lots of extra Heavy and Light Cavalry units to replace the ubiquitous vanilla versions. Unfortunately I have no 3D modelling skills, but a lot can be done with new textures, new alpha layers and modding the animation/effects unit.txt files. I have not modded game play in any way. All unit stats are consistent with the vanilla game. I was tempted to put in my Elephant mod, that I have used in some of my scenarios (i.e. Apollonia), but at the moment it is not included. If I get positive feedback about it, I may add it in later. The vanilla Indian list has been split into 4, the Republican armies having no elephants, and the early lists having no light horse archers. The vanilla Iberian list has been renamed as Georgian to stop confusion with the “Spanish” Iberians, who now have their own list. The Spanish list has been split into the three main tribal groups. The Pyrrhic list has been split into two. The Hellenistic Greek lists have been split into several state specific lists. The Gallic lists have been split into separate ones for lowland and hill tribes. The Early Galatian list has been split into three era specific lists. The Graeco-Bactrian list has been split into two era specific lists. 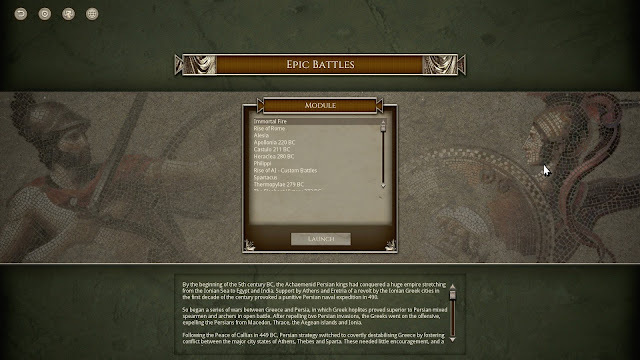 The late Carthaginian list has been split into a Second Punic War and Post Second Punic War list. The Kushan list has been split into two era specific lists. The Indo-Skythian list has been split into two era specific lists. The Parthian Saka campaign gets it's own list. The Classical Greek lists have been split into several state specific lists. Extended Early Carthaginian list back to 550 BC. I have split the late Spartan list into two. The early Seleucid, Ptolemaic and Macedonian lists have been split into pre and post 280 BC lists. To reflect a number of changes that happened around that date: availability of Celtic mercenaries, shielded heavy cavalry, Thureophoroi replacing Iphikratean Hoplites. The Spartan army at the time of the 2nd invasion of the Peloponnese gets its own list with Spanish and Celtic troops provided by Syracuse. Two new campaign specific lists for the Achaemenid Persians. A new campaign specific list for Syracuse. A new army list for Eumenes. A new army list for Xenophon's March of the Ten Thousand.